The Institute for Apprenticeships will take responsibility for T-levels later than planned as it recruits new board members to boost its in-house expertise. According to the minutes of a board meeting on November 15, the IfA will not now adopt T-levels until the end of 2018, rather than in April 2018 as previously expected, as the government delayed the first courses for a year until September 2020. The first two pathfinder qualifications were expected to be approved by February 2019, with teaching beginning that September, and the remaining routes phased in from 2020 to 2022. 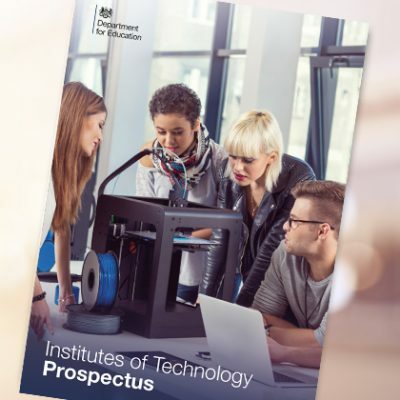 This timescale was criticised as unrealistic by major awarding bodies, so in July, skills minister Anne Milton announced that “a small number” of T-levels would instead be delivered from September 2020. The IfA is still forging ahead with plans to expand its board and hire new members by April 2018, in order to “bolster the technical and professional education expertise at board level”. A job listing posted on December 15 shows that the Institute wants “up to three” new board members, including a replacement for its new chief executive Sir Gerry Barragan – who was originally appointed to the board, and who has pledged to make the IfA “faster and better”. Successful applicants will receive £15,000 a year plus expenses for working two days a month to “contribute corporately to the IfA’s successful pursuit of its mission to ensure that apprenticeships are high quality”. According to the job description, the board is focused on streamlining the process for developing apprenticeship standards and improving employer outcomes, developing a strategy for apprenticeships with partner organisations, and delivering its “extended remit” on technical education. The board is seeking senior figures with a background in technical education, as well as a proven track record of leadership and analytical skills, and an ability to command respect from employers. It also seeks “personal strength and integrity” and a “proven ability to drive cultural change”.